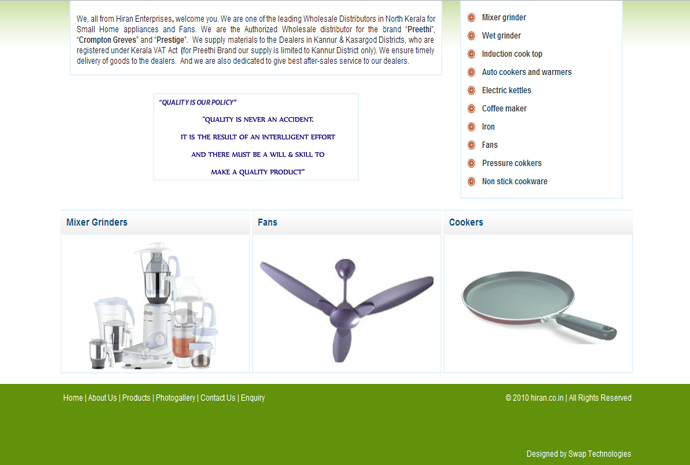 Hiran Enterprises is one of the leading wholesale distributors of Small Home Appliances and Fans in Kannur [and] Kasargod Districts. 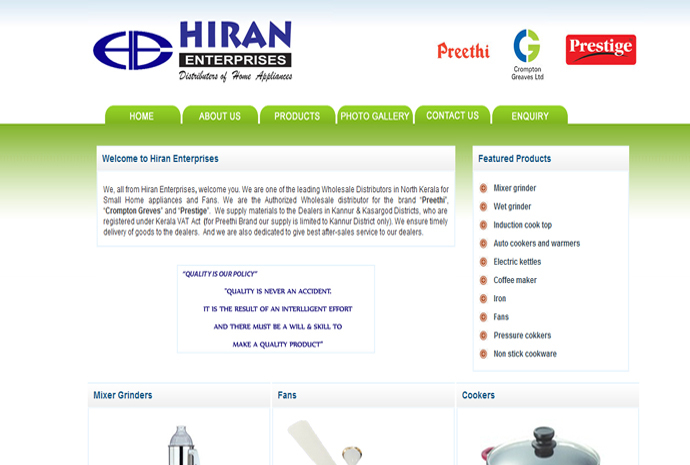 Hiran Enterprises started its business on 5th March 2003, as very small enterprise. And with dedicated hard work of Staff and Management, Hiran Enterprises is now one of the leading Distributors of its kind in a short span of time. 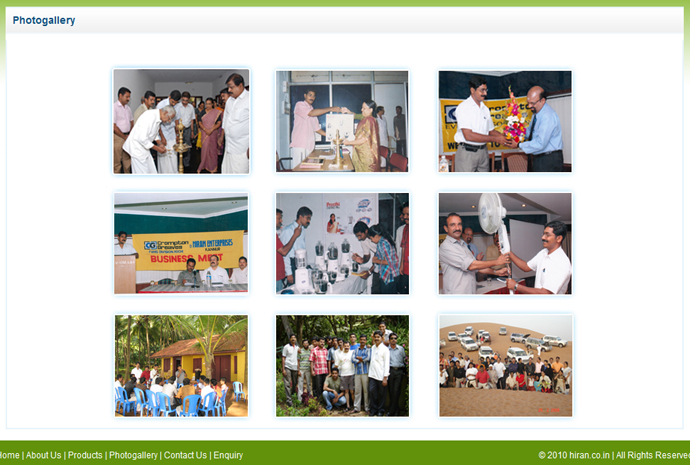 We are keen in quality of products and after-sales support to the Dealers, who are associates with us.